El Silencio Lodge & Spa in Bajos del Toro, Alajuela, Costa Rica! Bid Per Night & Choose Your Length of Stay! in Bajos del Toro, Alajuela, Costa Rica! El Silencio Lodge & Spa is an inspired natural immersion retreat that celebrates Costa Rica’s charming cloud forest highlands. It features a 500 acre private cloud forest reserve and is flanked by the Juan Castro Blanco and Poas Volcano National Parks. This unique destination draws visitors who want to live an intense nature-immersion experience. Misty tropical cloud forest, roaring waterfalls, and colorful culture are showcased through heartfelt hospitality and upscale facilities. Our local staff will make you feel right at home as you enjoy your honeymoon, wedding, family vacation, or special event. Ninety minutes from the Juan Santamaría International Airport (SJO). Access roads wind through picturesque towns and spectacular examples of Costa Rica’s mountain scenery. Arenal Volcano, La Fortuna, and the Sarapiquí River Basin are accessible for day excursions to Costa Rica’s signature attractions. El Silencio’s Las Ventanas Restaurant pampers foodies with local flavors, fresh ingredients, and a careful selection of our own organic mini-farm. 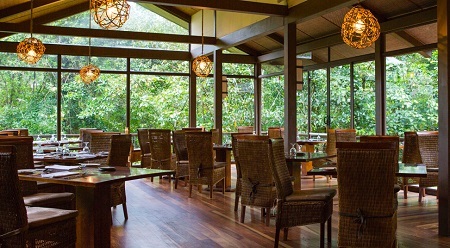 Framed by floor to ceiling windows, it draws in soothing forest sights, creating a dining ambiance that fosters relaxation and a joyful celebration of Costa Rica’s emerging culinary scene. 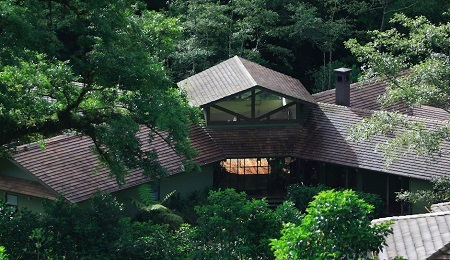 El Silencio Lodge & Spa is an eco-luxury hotel in Costa Rica’s tropical cloud forest. 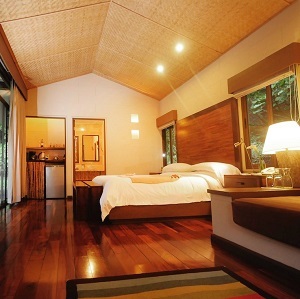 Costa Rica’s beautiful landscapes are to be enjoyed in stylish comfort. El Silencio Lodge & Spa’s upscale suites are interspersed in a tiered layout for unrivaled mountain views. Offer is based on single or double occupancy in a Suite Accommodations with Breakfast. Suites do not feature a TV set. The view is so spectacular, you certainly won’t miss one! Villas do feature satellite TV. The Meeting Room in the main lodge features one large LCD screen. Stay a minimum of 1 night or up to 10 nights as desired and based on availability. Tax and service charges of $49.oo per room per night additional.